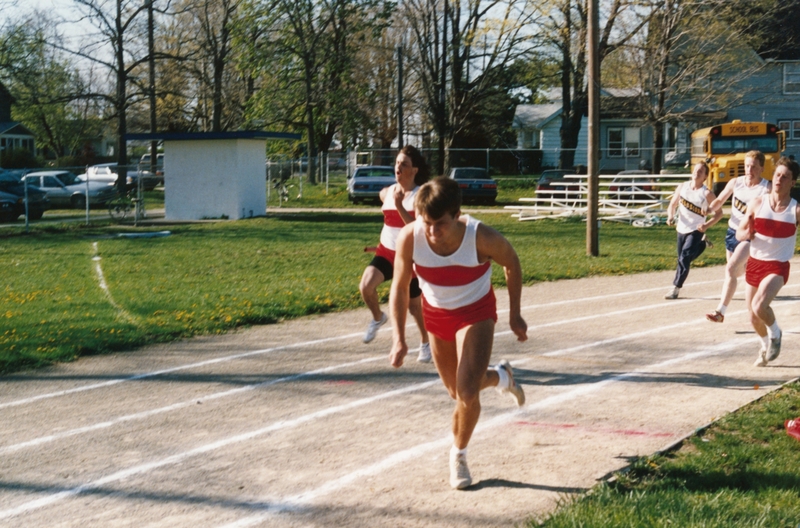 Both of the photos that I feature below are from my years at Hanover-Horton High School when I was an avid track and field runner and volleyball player. While my track and field career mostly kept me in shape, it was volleyball that was my passion. 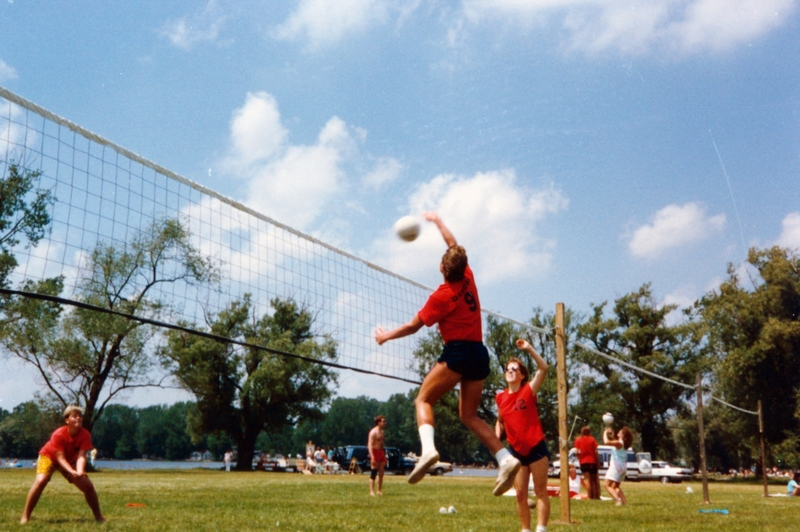 I later went on to play for Ball State University in Muncie, IN and then continued to play volleyball as part of the North American Gay Volleyball Association after college. Years of overhead sports (I also took up tennis and triathlons in later years) have taken a toll on my body and I will be undergoing rotary cuff surgery this fall. Nervous about the recovery for this tough surgery but I am confident that you will see me back in action again very soon.